Today I write about my journey with colors. 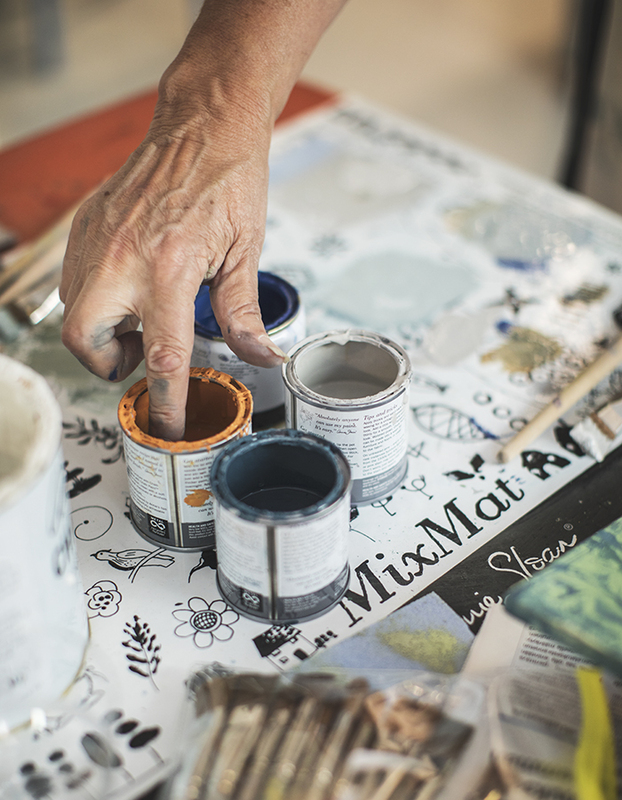 I also show you pics from the workshop by wonderful artist Annie Sloan in Helsinki at Måla&More. 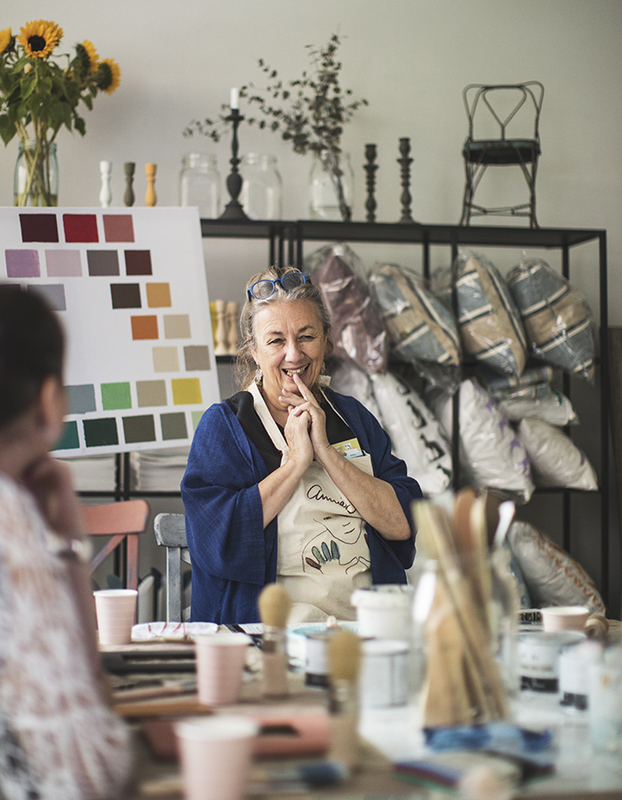 She is the lady behind the Chalk Paint® since 1990. 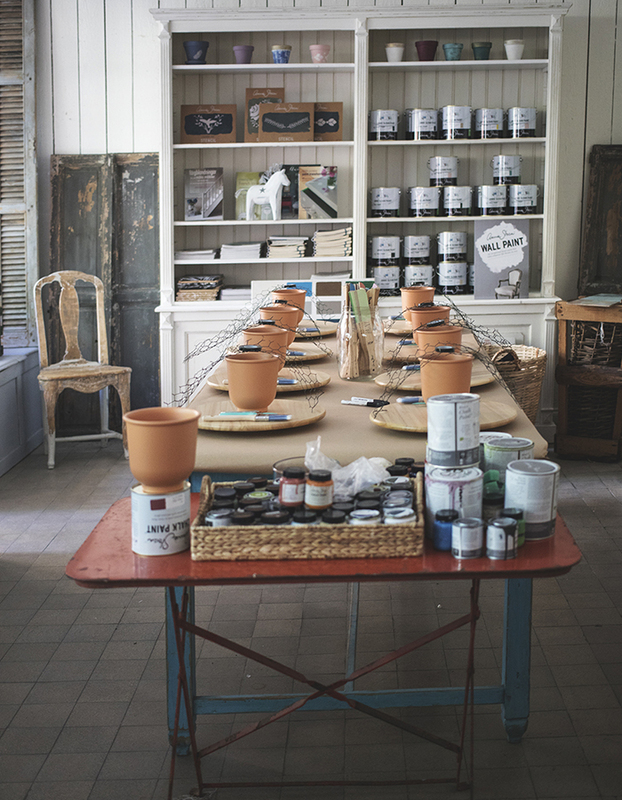 Magical matt Chalk Paint® with such a wonderful color chart. Think about that. Why I found her only in 2014? Because that was the year I began as a freelance photographer and artist after working 8 years in a big publishing house. I was looking for a good matt paint for my photography props to get right kind of feeling to my photographs. This post is not sponsored. Over last four years I've been photographing food and flowers. Lots of lots of flowers lately :) How I got here, how I found colors and flowers. Let's go back to the year 2015. 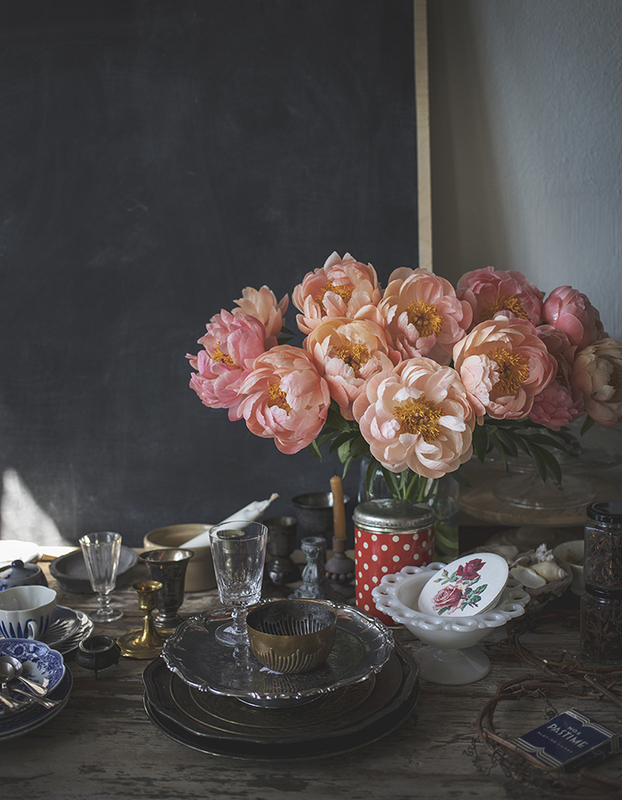 Then in some photo shootings I began to make styling by adding flowers to table set. That time is a very important moment in my story with flowers. I was brave enough to take a step and believe that I can work with colors and flowers so well that I can choose all the props and backgrounds for photo shootings. Then time machine takes us to the year 2011 when I was working in publishing house as a photographer. Oh how I was unsure about all those things. I let art director or stylist to make the styling. But somewhere deep inside I was already eager to learn using colors and finally I opened a door when I began acrylic painting in 2012. Thanks to my lovely and inspiring teacher Alina Sinivaara I could dive into the world of colors without worrying perspective or any other details. I could just use my big moves and I painted abstract. The whole thing was - and still is - about the colors and textures. I did not need any reality when panting because for that I could use my camera. I could just enjoy and mix the colors. 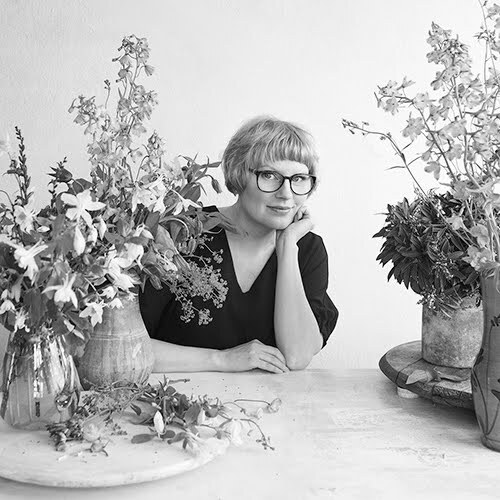 Professionally I began to style with flowers since 2015 when we made food photography for customers with talented cook Meri-Tuuli Väntsi. 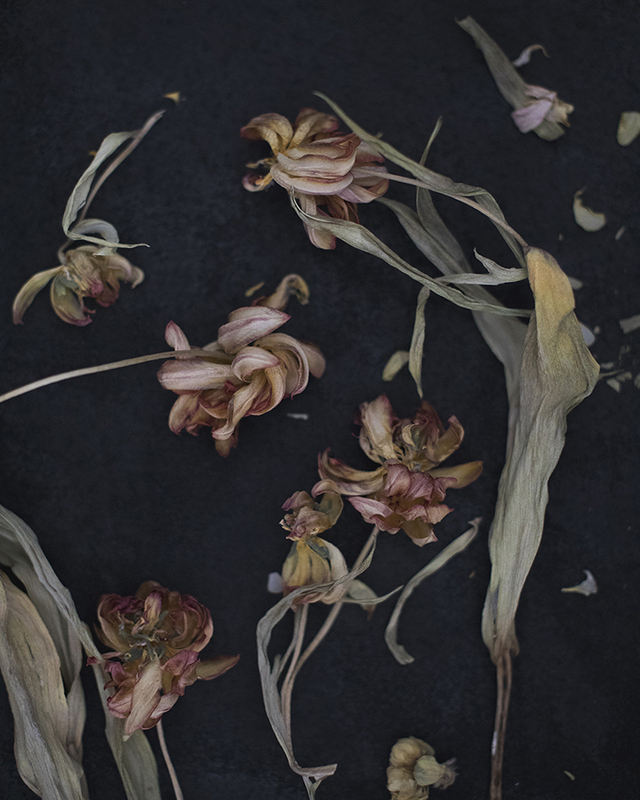 Dried flowers I used in 2016 when we made our first cooking book Pataruokaa (A Book of Stews) together. 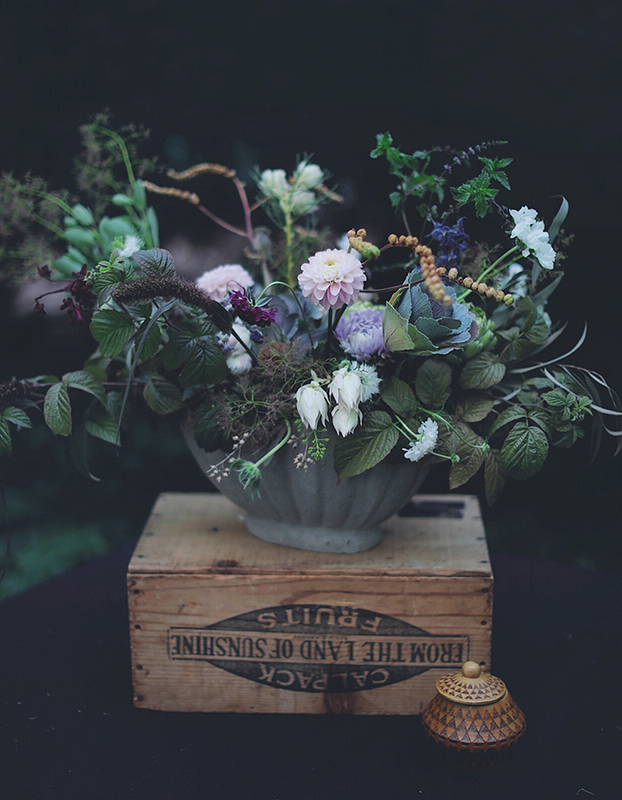 I collected different kind of plants and flowers from the nature and used them as dried especially in our table settings. 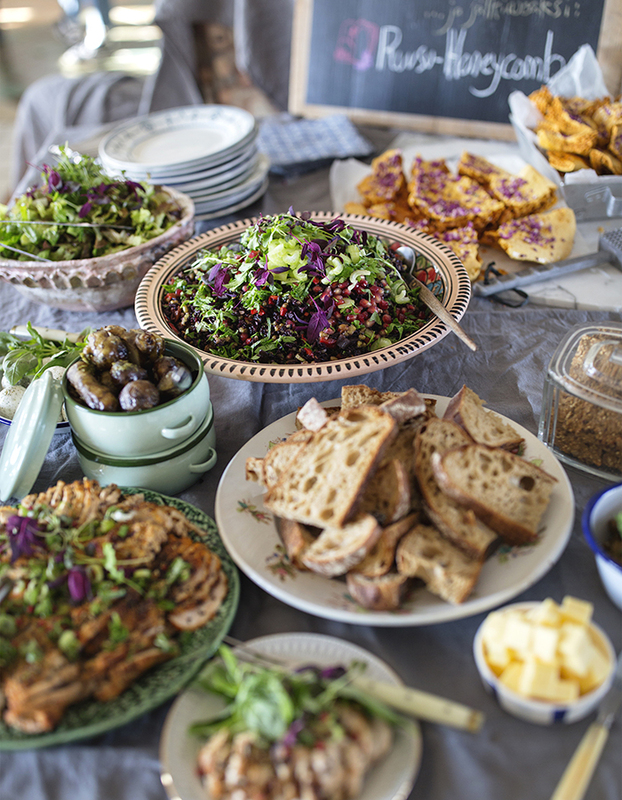 I think during that time we both - Meri-Tuuli and I grew with our talent to create beautiful food photography. 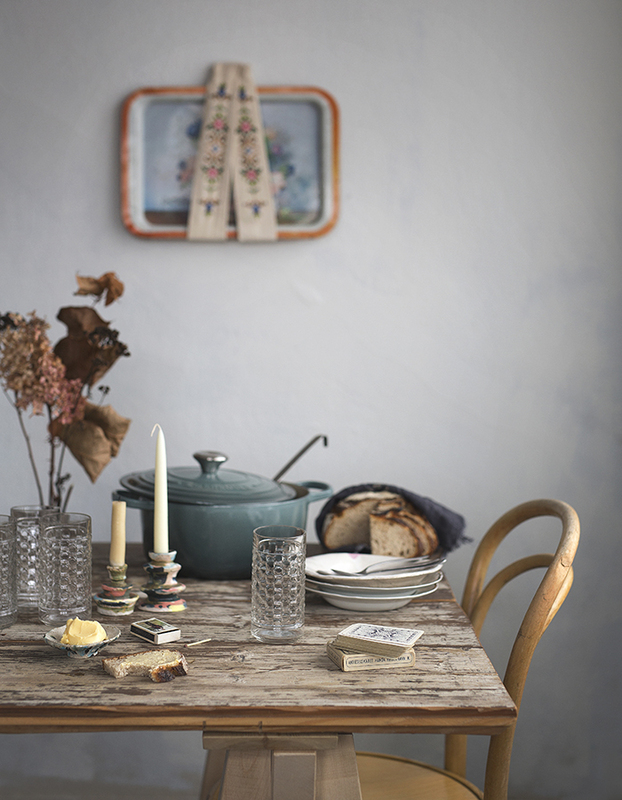 We created a world of winter, woolly socks, gathering with friends and heartwarming stews. It had to and it was perfect. We really took the time to take pics to next level and I guess we made pretty nice job there ;) a bit raw, rustic, eclectic with style. The year when we made the book was such a roller coaster for me. The year began with sudden death of my mom. I was devastated. First 2 weeks after her death I just painted. But something good grow from her death, I can say now after three years. Throwing myself to new things didn't scare me after her death. My first real flower work was funeral flowers for her. I began to take my tiny steps towards flowers. 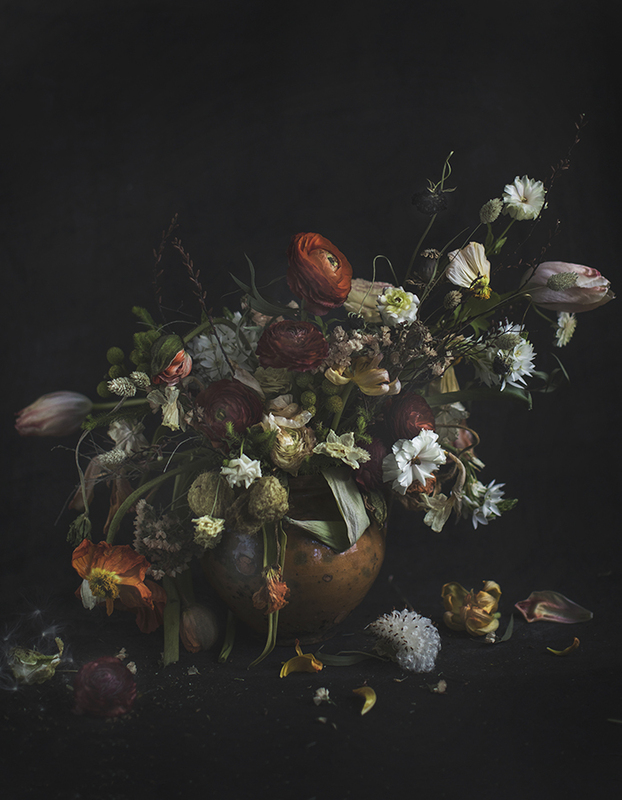 I have photographed them before in my weird still lifes that you will never see - with all kinds of stuff. 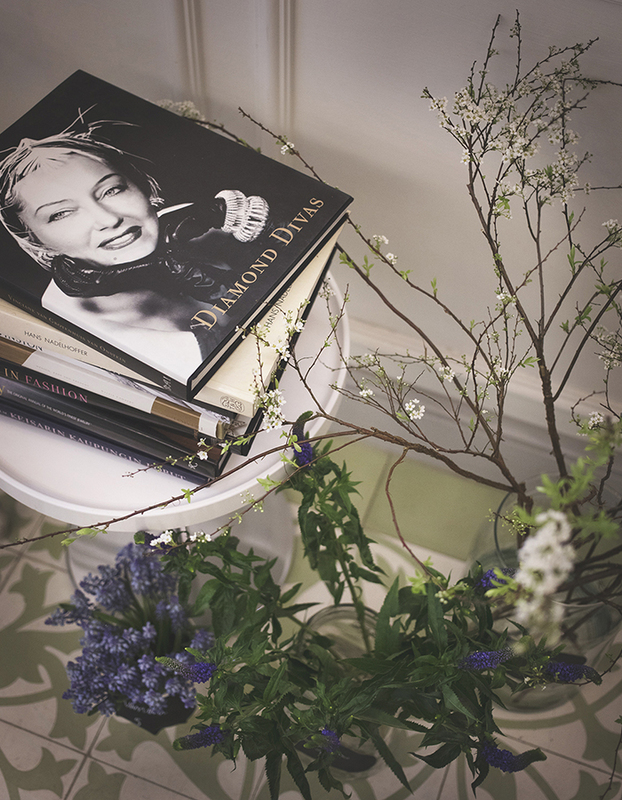 But now it was time to take bigger step and my next big goal was to learn to make a beautiful flower arrangement for my floral art photography of course. But how could I do that? Our paths are different. There are people who believe that they can do it and they do it but there are also people like me who spends tons of time to different kind of things and also use time to think why I can't or couldn't do it. Sounds familiar? It's the worst kind of thinking. On my path I have collected different kind of skills and things. Even though I have been unsure I have been also curious and a bit brave too. Like having this blog for example. 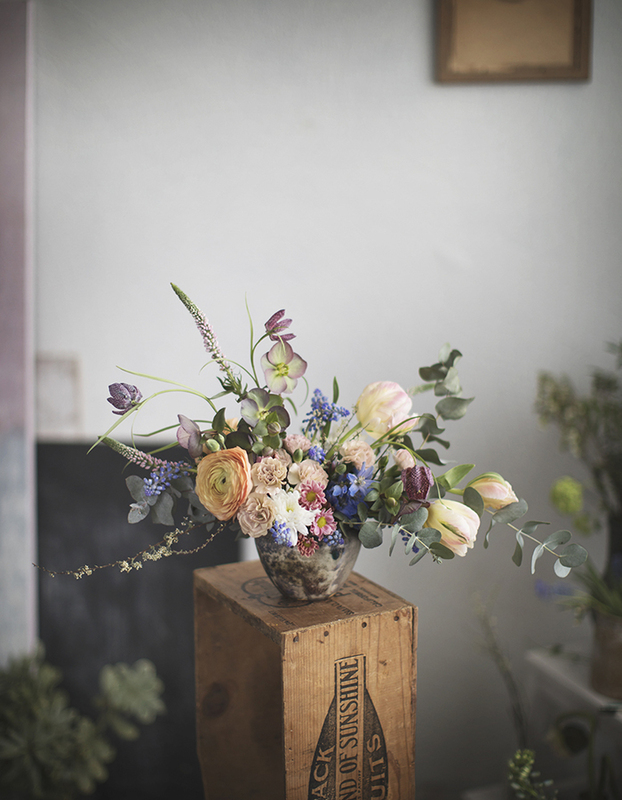 Writing in English with imperfect English :) So 2016 I decided to arrange a flower workshop at our workspace with floral designer because I wanted to learn floral design. She would teach flowers and I flower photography. 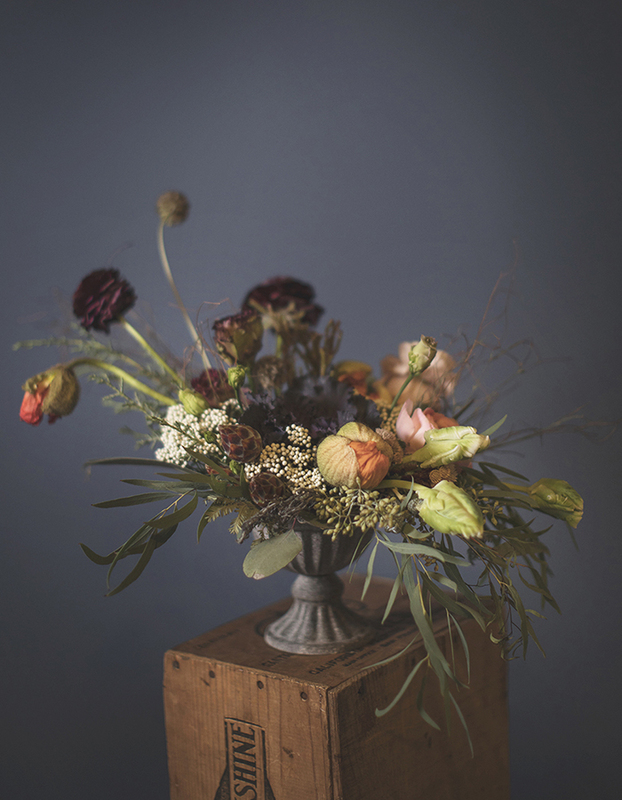 In Autumn 2016 the very first flower workshop began and they are still going strong but things have changed. 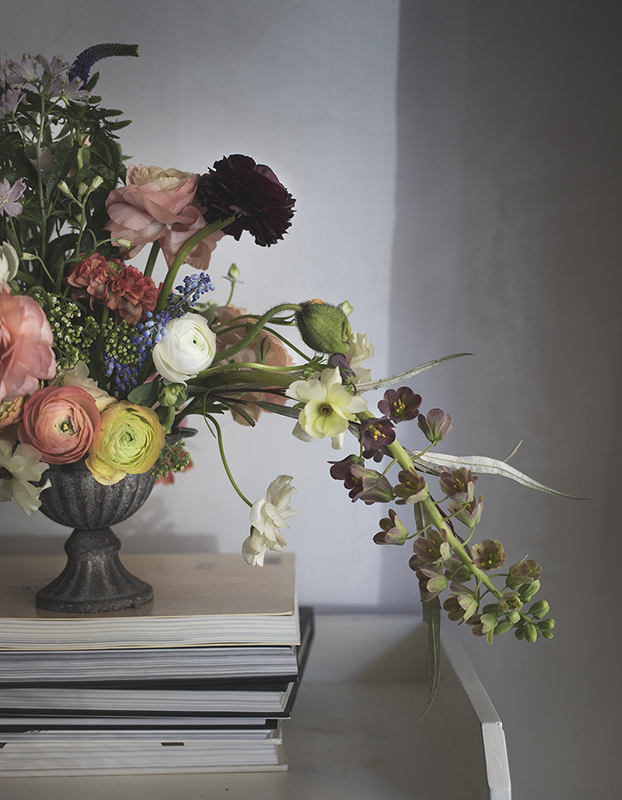 At the moment I'm the teacher of both - flower arrangement and photography. For me the most intriguing challenge is to combine colors. Surprise! Still learning it because it's not only the colors, it's also textures, shapes, movement, contrast etc. But at the moment I'm trying to share my so far knowledge about designing with flowers and colors. 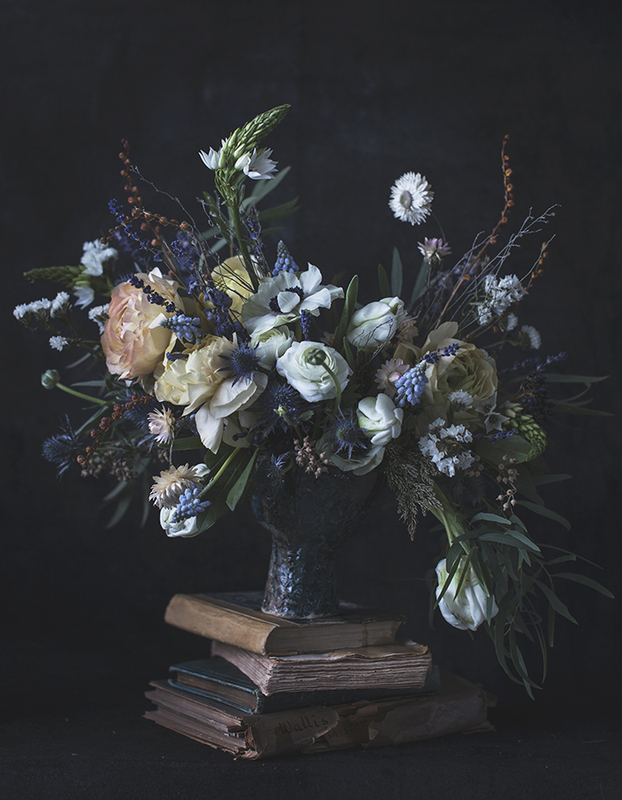 I am very eager to learn more and I have been visiting different floral designers like amazing Susanne from The Blue Carrot as 1:1 student and then I took part in The Golden Age flower workshop by talented Emily from Fleuropean and Susanne from The Blue Carrot. I met also a lot of amazing people. 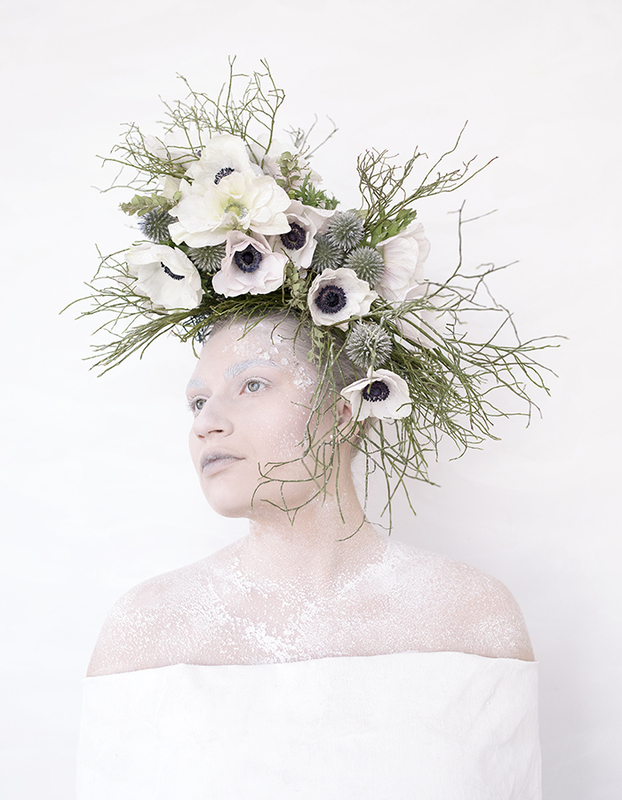 I hope during this year I can meet more talented floral designers and other artists. 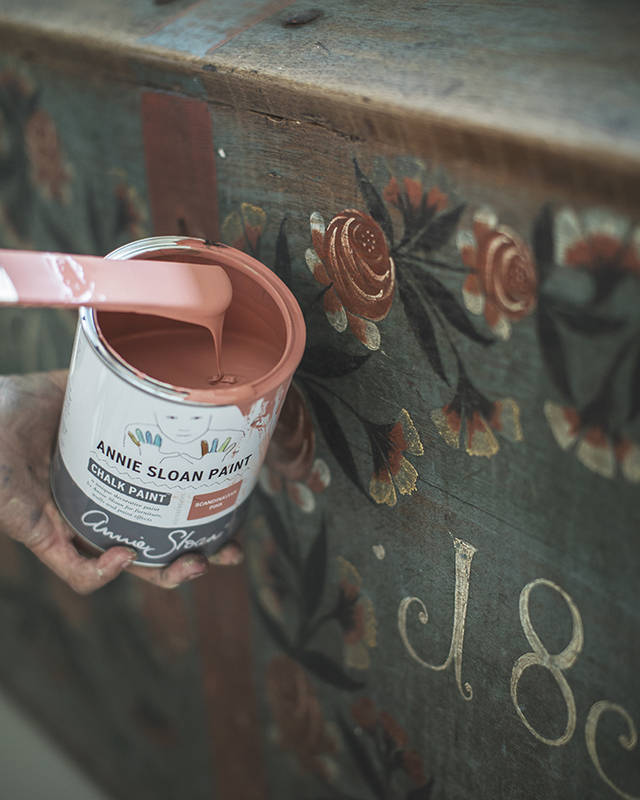 Now (finally) we come to the workshop by Annie Sloan. It was in September 2018 and I was super happy that I could meet this interesting and talented lady. Because the most important thing when you try to learn something is to have eyes open and ears too for other talented people methods and point of views. The other artist doesn't have to do the same as you do - colors are quite universal I think. Teaching yourself to use and combine colors is a challenging task and it might take a bit time but it's so worth it! I use to be afraid of colors, even colorful clothing was hard to choose because I felt much easier to choose black, grey or white ;) not anymore. I know there is a bit of talent ;) experience and curiosity but there is also a huge amount of different kind of the work behind all of this. No-one can give you a talent or skill you just have to work for it. As we all know we creative people have our own secret places, books, shops, museums, music that we might not share with others so eagerly. 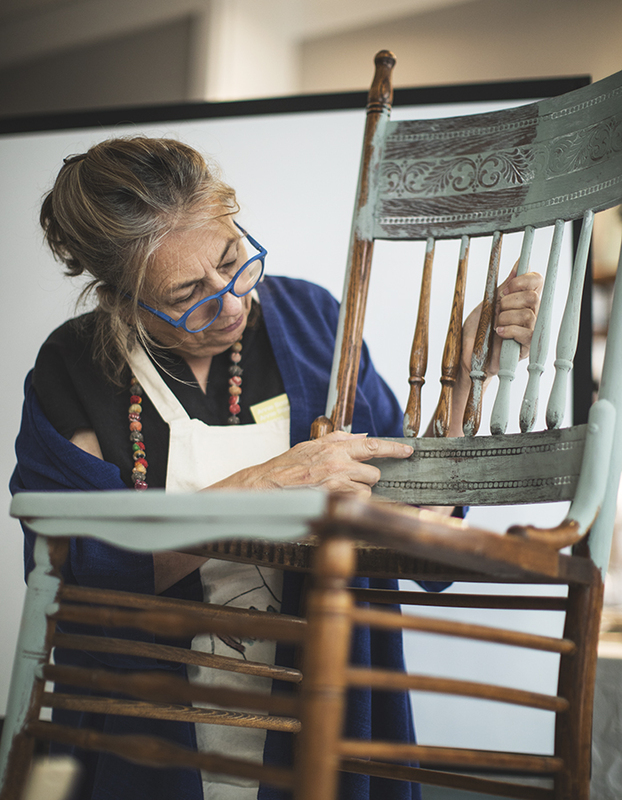 But I will share now two important things I learnt at Annie Sloan's workshop. 2. Complimentary colors. No black. No pure white. If you have two complimentary colors, mix them and get a darker color. Use these colors when you make your white. All fits nicely together. 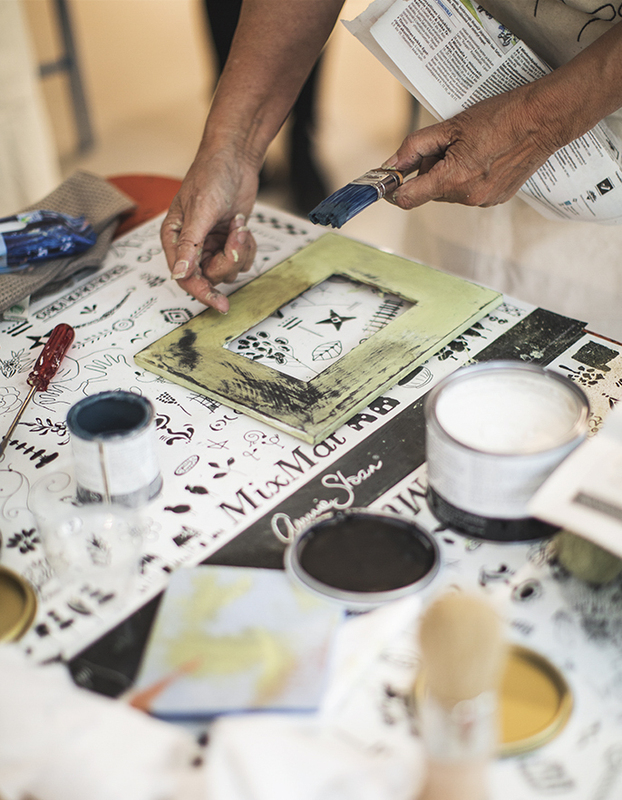 If you want to redesign your bedroom for example you can paint all things with her Chalk Paint ® yes, even curtains. No more trying to find a perfect match, it's already there. 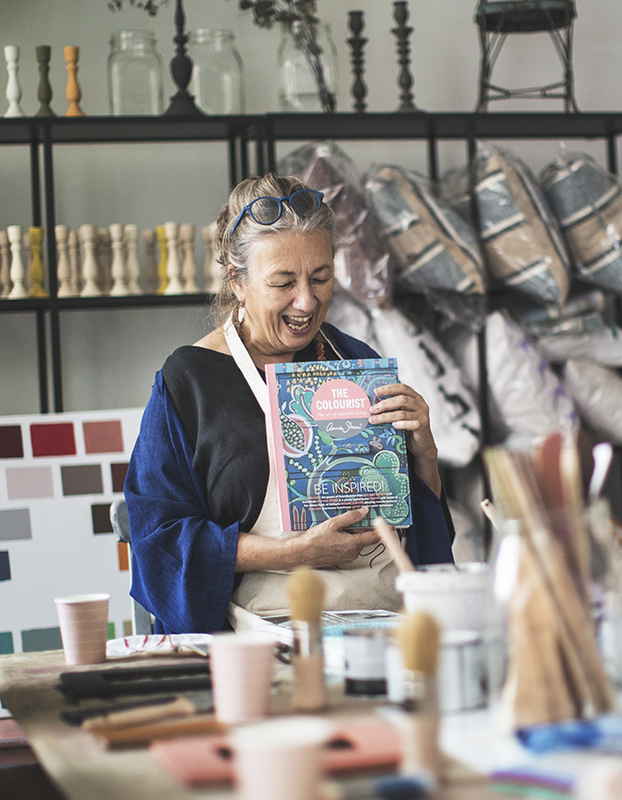 And if you want to find a creative secret then you have to read the bookazine by Annie that she is holding in her hands. It's a place and totally worth to visit! I hope I will. Maybe even this year, but you never know. Congrats if you are still reading my post about colors and flowers. Like here in my flower arrangement the nature has so many different flowers and colors. 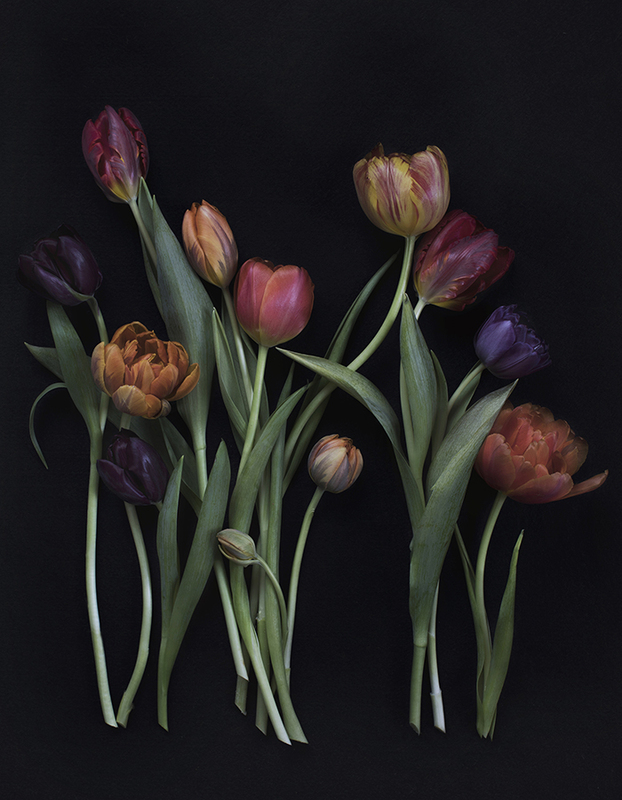 Same flower can be different color based on the soil where it has grown or time of the season, or how old it is etc. so you just have to learn to accept the grace of organic and ever changing nature. It's your palette, enjoy! I want to thank you Annie and Christel for wonderful workshop! It's time for recap of the year 2018. It has been full of hard work and wonderful assignments - both commissioned and personal work. I am more than happy how the year treated me. I've been busy and I will take a short pause in January and after that I will be ready for the year 2019. As I said it's been a busy year and it has been full of emotions especially with my cat family. Haruki got 4 kittens in June 14th and it was super lovely to follow kittens growing and finally one of the kittens stayed with us - Tove darling. Now Haruki has a cat friend and I'm very happy about that too. In the beginning it was quite difficult but now they really are friends. But let's get back to my top 10 of the year 2018. It wasn't easy to choose from all the assignments I had. It was also hard to put them in order and order is not necessarily considered very seriously - they are all works I loved to do. There are also things I can't tell or show you yet but I will during this year. I want to thank you each and everyone for co-working with me. You made my day and hopefully we do some unique things this year too! 10. 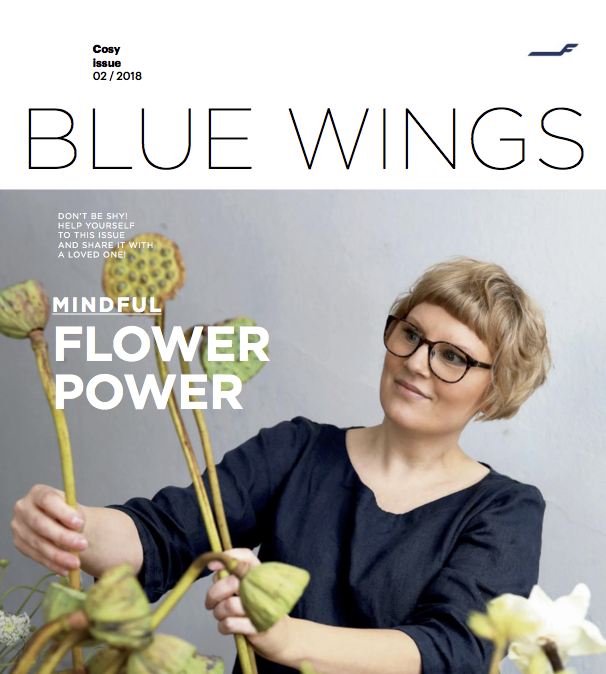 My editorial flower story in online magazine The Green Gallery which presents flowers and plants as the source of inspiration. 9. 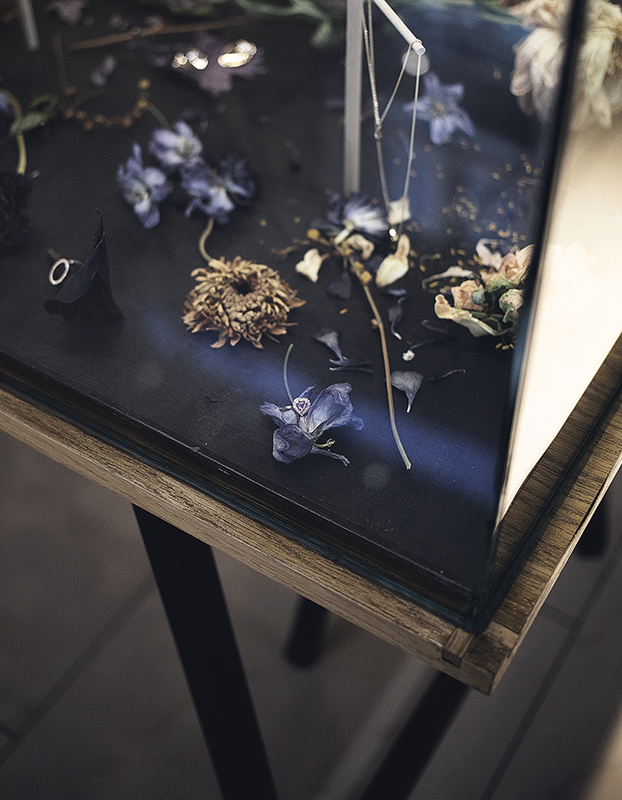 At World of TRE Jewellery on a Pedestal installation is a collaboration between four individual fine jewellery brands and one floral artist. 8. 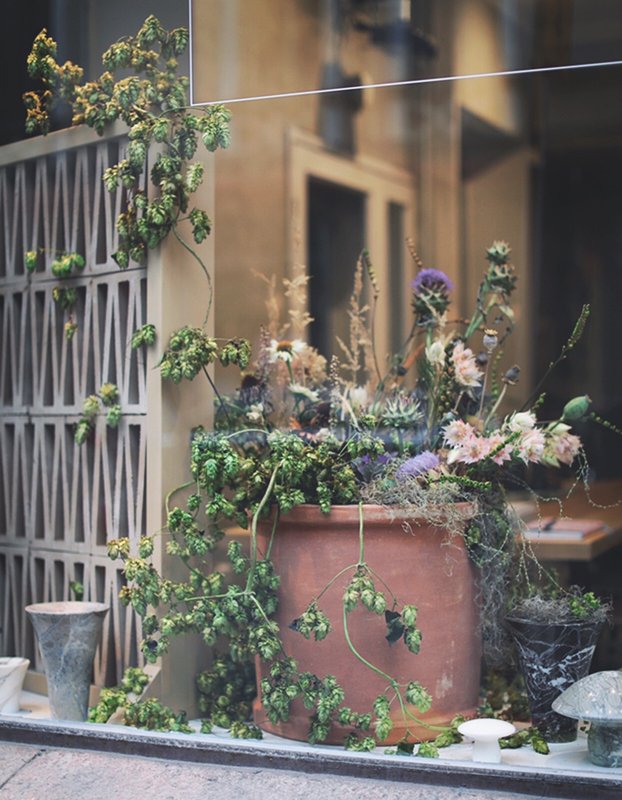 ABL Laatat flower installation for their pop up shop window in Uudenmaankatu in September. I was in good company. Marble mushrooms by talented Pasi Kärkkäinen. 7. Asun magazine editorial story for X-mas issue, photographed in Seurasaari. 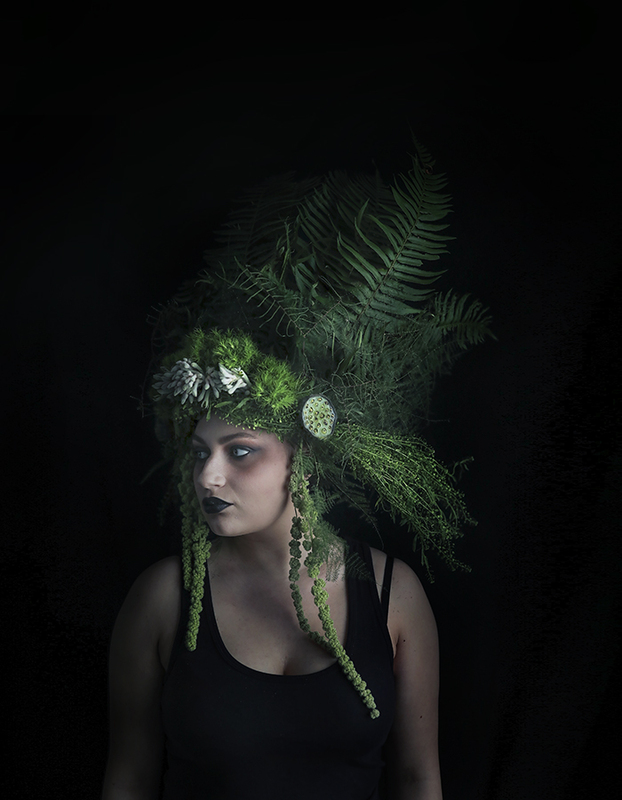 Styling by Selina Vienola. 6. 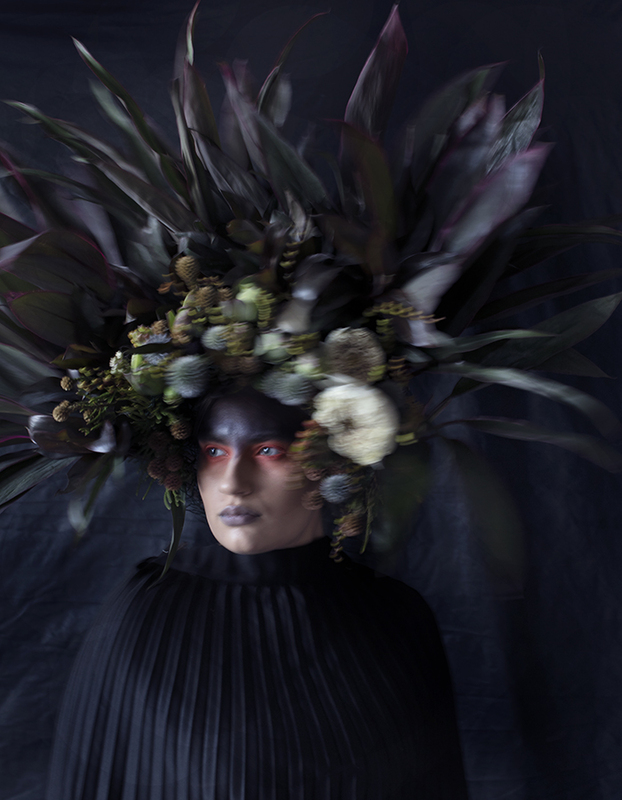 PRIME floral art photography exhibition 12.9. - 23.12.18 in Bang Bang Gallery. 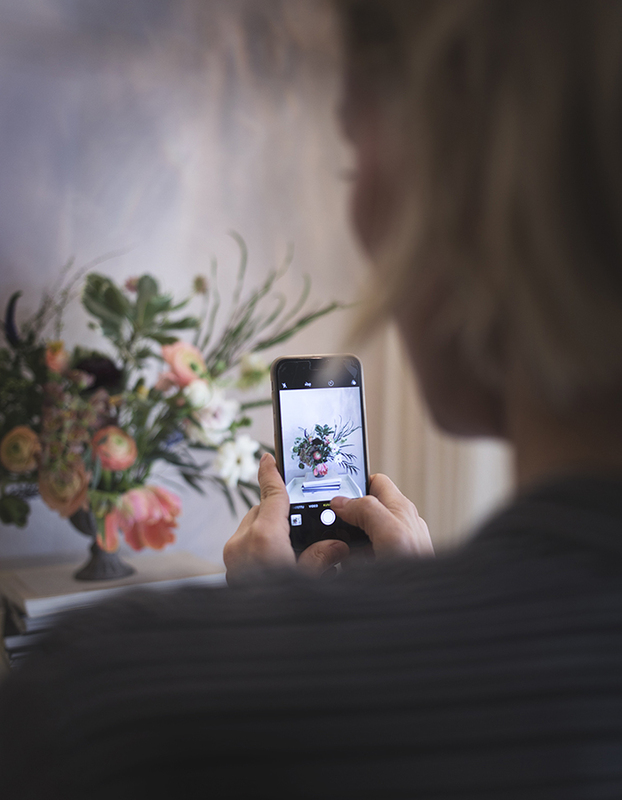 5.Flower workshops at Kultaseppä Kulmala, Måla and More, Johanna Gullichsen, H&M Home, Stockmann, Ryti-talo, työhuone ovi 10 Floral Art Now workshops. 4. 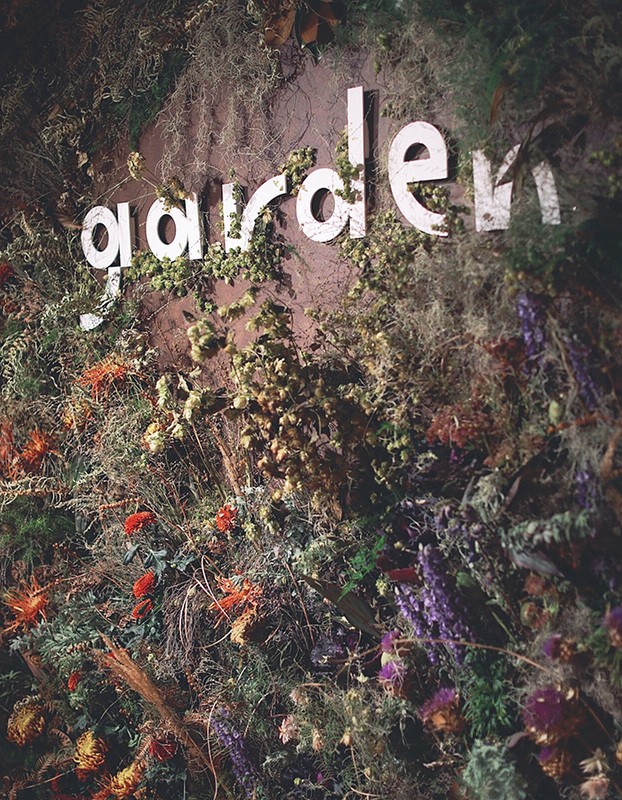 Flower wall and a Christmas garden chair installation in the Center for Finnish Fashion Kämp Garden. 1. In January I SEE COLOR exhibition at Mattsson & Mattsson workspace gallery in Helsinki. 3 works from the exhibition was also part of Käsittämätöntä group exhibition in Arktikum during Arctic Design week in Rovaniemi in February. I SEE COLOR exhibition was back in Helsinki in November at Galleria Pirkko-Liisa Topelius. 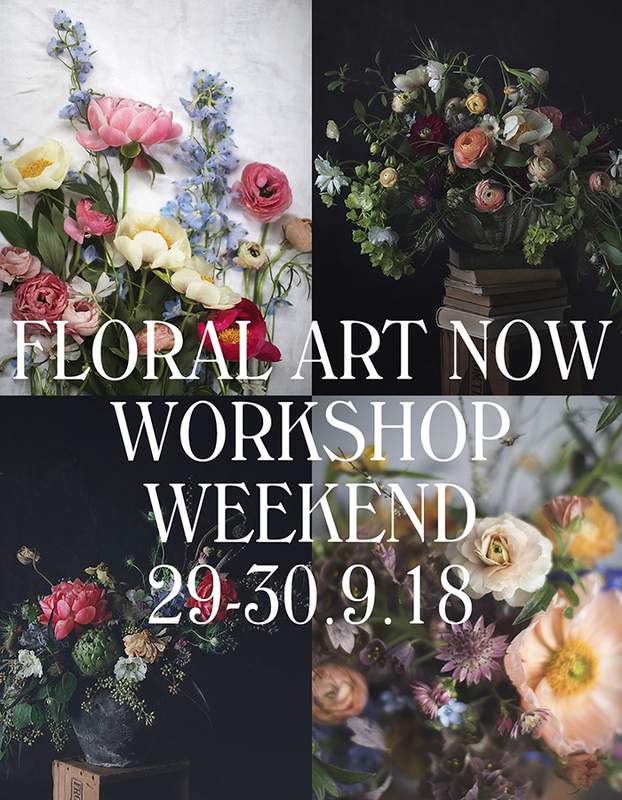 Coming up Floral Art Now workshops you can find here. Take care and Happy New Year 2019! 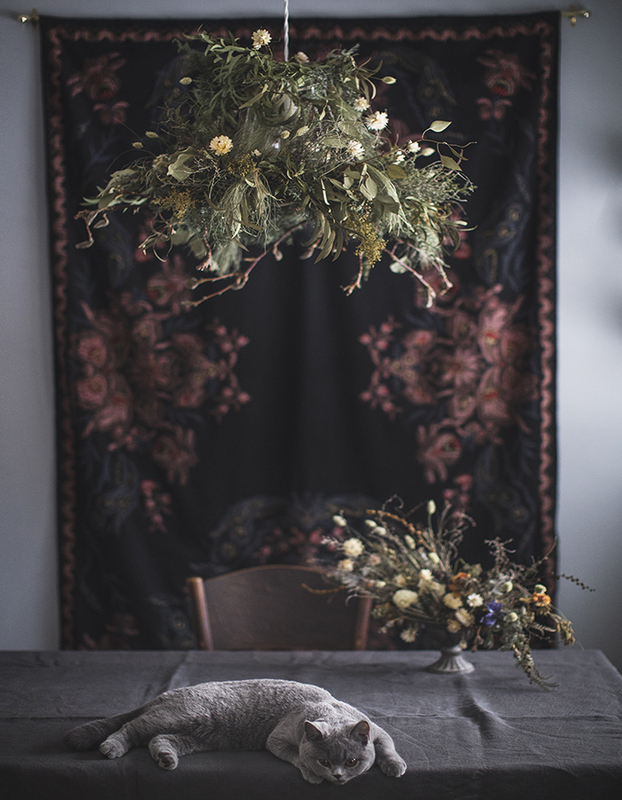 The year 2018 has been the year of exhibitions, floral design and kittens. I begun the year in January with the photography exhibition I SEE COLOR. 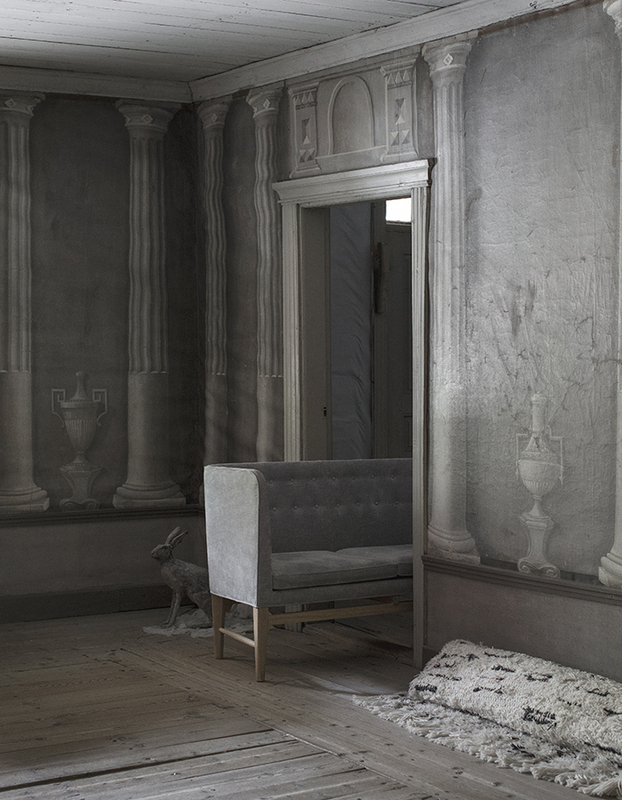 It took place at Mattsson & Mattsson workspace in Katajanokka, Helsinki. The project took about one year and it is about a young woman who suffers from anxiety disorder. She is my friend Alexandra. I will show here all the photos because I know lot of people did not have possibility to come and see it in the gallery. I did not plan this exhibition. I just wanted to help my friend with positive experience. I got an idea that we could make photos together for fun. Alexandra could make the make up and I could make a flower accessories for the pic. Both could do something they love. Maybe Alexandra could use these photos in her make up portfolio. Make up has been Alexandra's hobby and also a protection shield. No-one can see you feeling bad when you have a perfect make up on you. We have talked about the disorder a lot. All the works we made are based on those conversations. It's hard to understand what it really means to have an anxiety disorder. Because of these conversations I began to feel strong will to make the exhibition about the matter. I was a bit nervous when I asked Alexandra how she feels about it and for my surprise she said yes very quickly. We agreed that all the photos should be accepted by her of course. Process was organic. I got an idea for a photo and we planned the make up or the other way around. I did not want to use real clothing because I thought it takes too much attention and takes the attention to wrong direction. I used different kind of fabrics wrapped around her or black shirt. I did not photoshop the face. All you see is there. Not fixed. We have one message. You can get well. Mental disorders have unpleasant stigma and people tend to hide them because they are afraid what it means to them. We think too much other people's reacts. Unfortunately anxiety disorder is very common among young and young adults. It might be that it has begun when you were in your twenties and you try to get help when you are forty. I'm not gonna say this was an easy project for me but more important I know this wasn't easy for Alexandra. I felt huge responsibility to make utterly beautiful and interesting photos and same time I was also worrying and hoping all goes well. But I would not have done it if I haven't felt this is right thing to do somewhere deep inside. This project we made together and I have no words to express how proud I am about Alexandra. The work above Still is Alexandra's idea. She told me she feels frozen. There are many dimensions in that word. For me this work describes how you feel when you are a viewer of life not the one who is living it. You are stuck with all your emotions, feelings and restrictions they cause and for you they are invincible. Meanings of these works are binded to references they consist to history or other photography genre or art. Things aren't obvious and like the make up for Alexandra these photos are also masks of the cruel mental disorder. I lure the viewer to come closer to expose the ugly truth. Naming all these works were challenging. Almost more difficult to find the right name than to create the whole work. We gave names in English because the name of the exhibition was in English too. The name of the exhibition was born from the Alexandra's experience to see colors in different situations. I don't see colors but I get strong feelings from the places and people. I feel strong empathy. 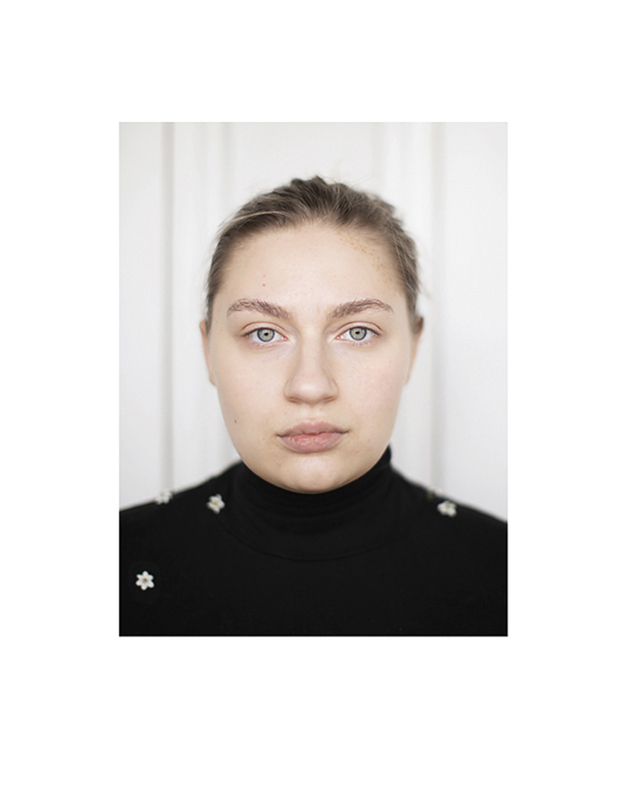 The last portrait is Alexandra without make up. It is a very small pic in beautiful make up box. That pic was the hardest to make. Without the shield you are the most vulnerable. 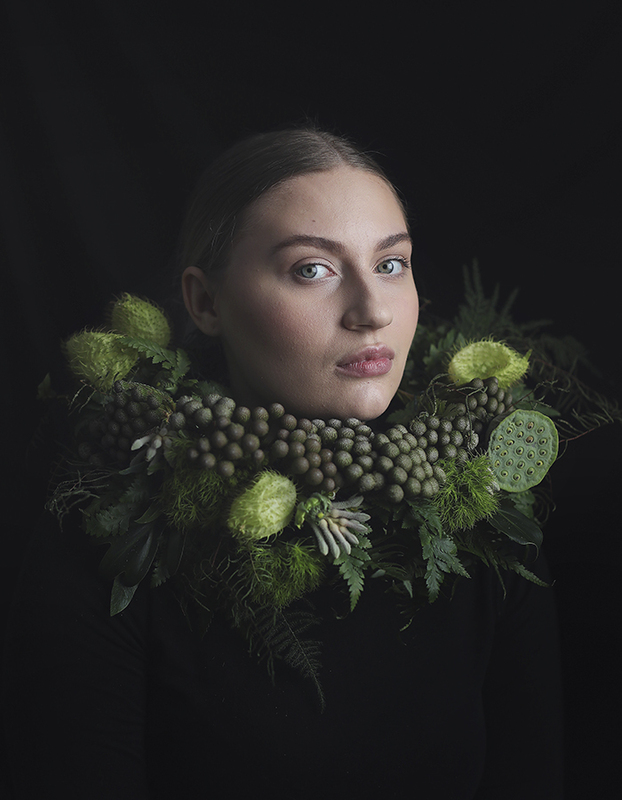 Three of these works were part of the group exhibition called KÄSITTÄMÄTÖNTÄ in Arktikum, Rovaniemi during Arctic Design week in February 2018 and in November 2018 I SEE COLOR exhibition was in Gallery Pirkko-Liisa Topelius with two new works. 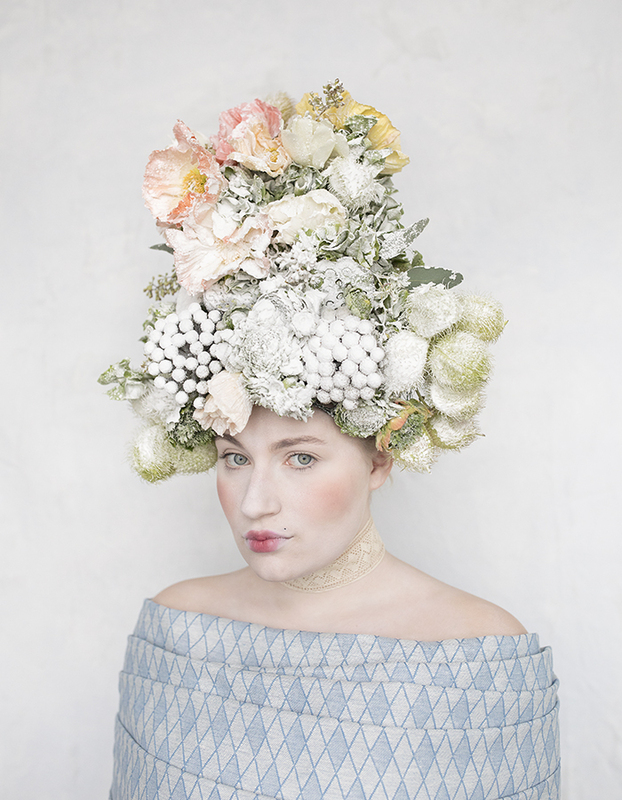 After January's exhibition I felt that we need a break and if we make more portraits we do it in autumn. Autumn came and Alexandra felt much better. 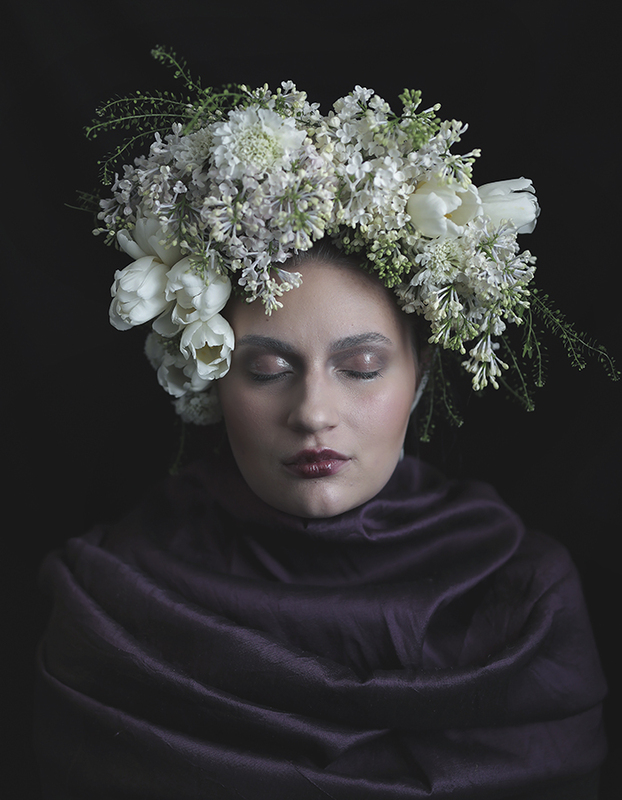 She was helping me as an assistant with my floral designs and I just could not see anymore make up and flowers. 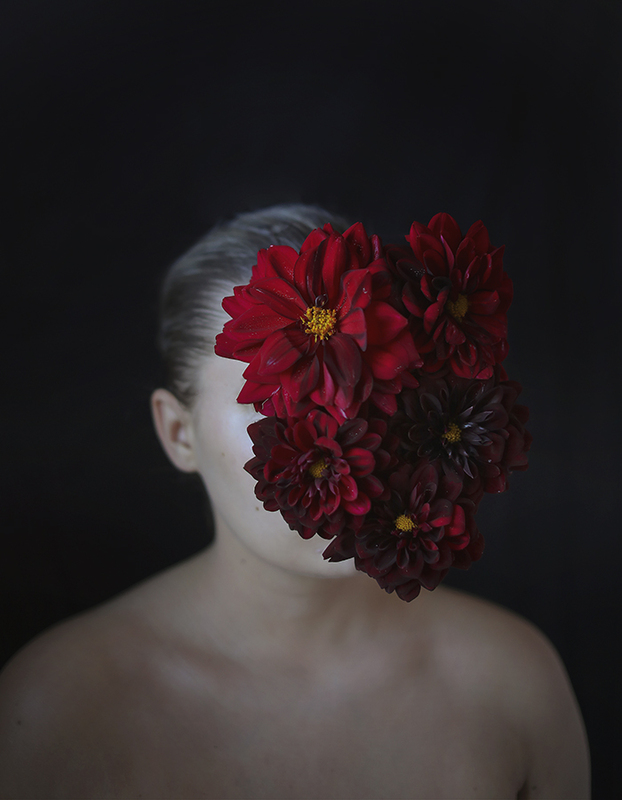 I saw a young woman who had grown and clearly taking over the disorder. All this and what had happened before got me thinking chaos theory, butterfly effect, coincidence. We can't predict how life treats us. But we can be active and positive about our own existence. Growing strong wings is not the easiest task but it is necessary to survive. If I can help one with this project, maybe I can help many by sharing it and that is what Alexandra also thinks. What's left from Anemones we used in Still after being frozen in freezer? It is changed flower. Hopefully you enjoyed the story and photography work. I wish you a sparkling New Year 2019 with plenty of colors and happy feelings! Take care! It's almost autumn. Two days ago I was thinking what happened one year ago in my life and I remembered that September 2017 was a big month for me. It brings me very good memories. 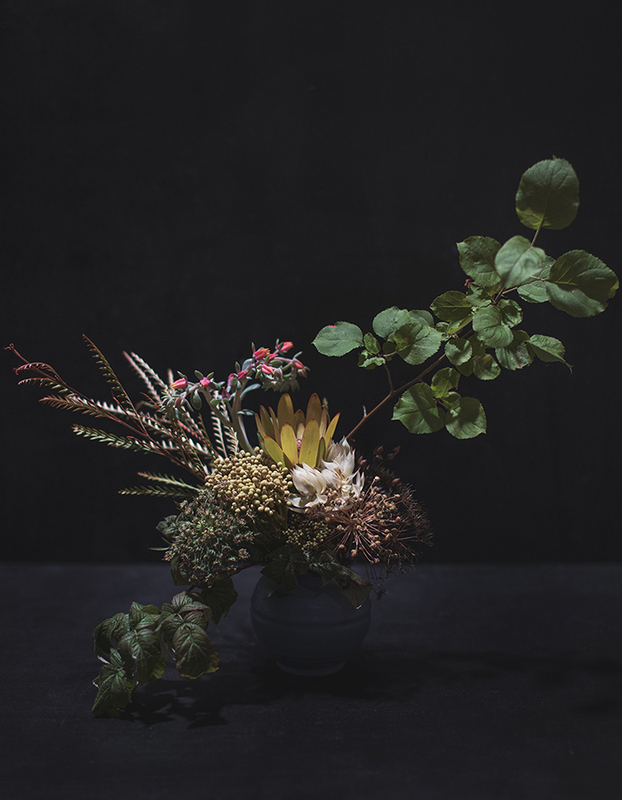 My first flower arrangement workshop happened in September Habitare 2017 at Asun magazine exhibition. It was wonderful gift from Asun magazine for the Habitare guests. 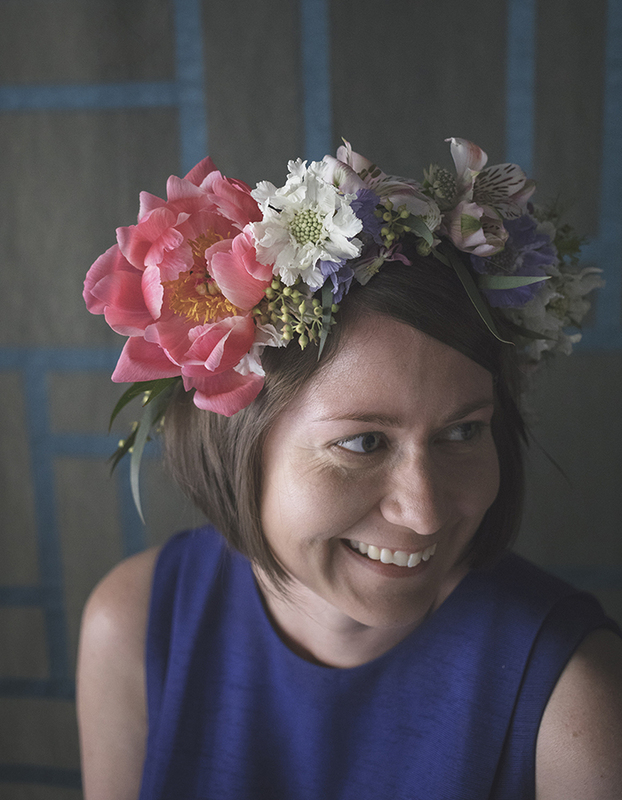 A free flower workshop. We had a huge line of eager ladies and I only could take ten. I was quite excited maybe a bit nervous too and the time flew and suddenly there were ten flower arrangements ready to be photographed. So I think the past year went quite same way. Fast. A bit nervous. Eager. Restless. Happy. This past year has made me feel a bit overwhelmed. 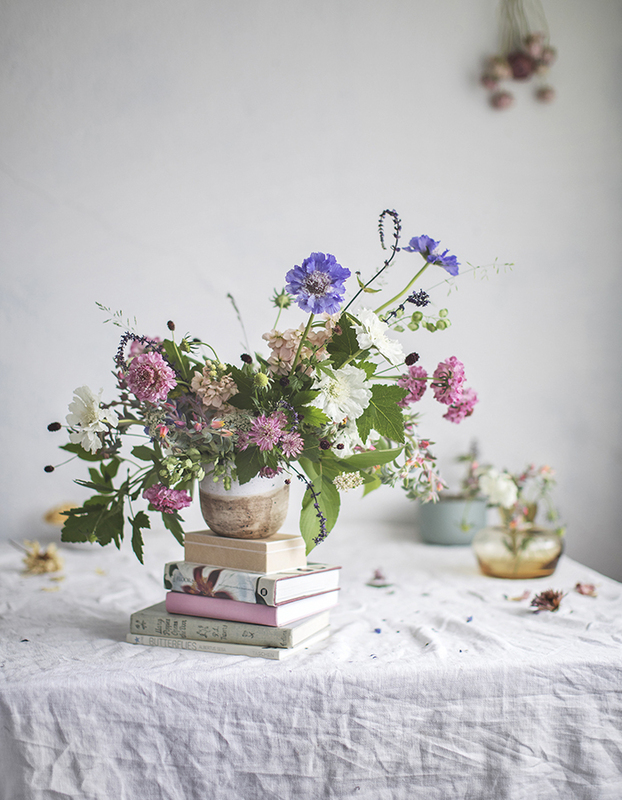 I've been asked to teach floral design, expecially arrangement in various places like in Asun+Anno home, Kultaseppä Kulmala, Måla and More, Johanna Gullichsen, H&M home. A good design and colorful diamonds with group of wonderful flower ladies - not bad at all. I'm more than happy about all these workshops. 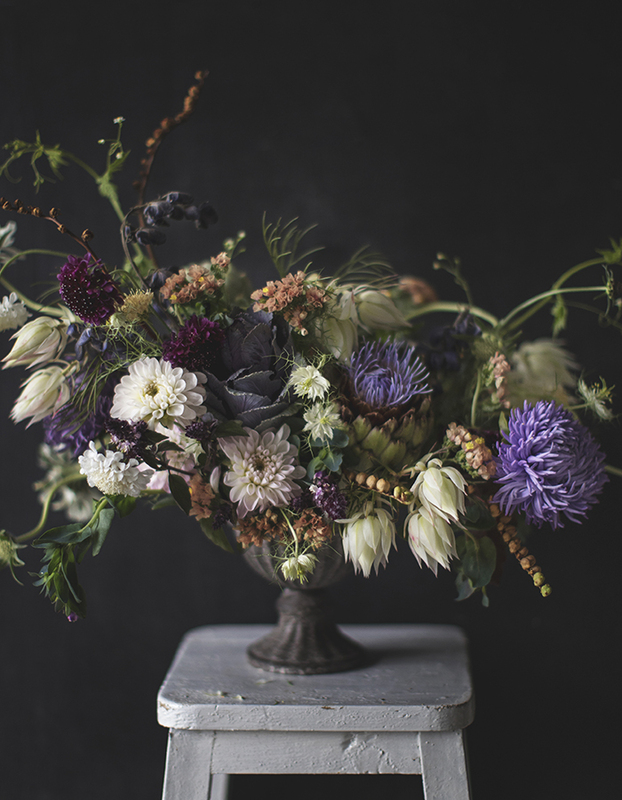 Arranging flower workshop is a project. It's a process that begins with planning and ends with cleaning the workshop. A lot of work in between. I never counted the hours I've spent in one workshop but it's a lot. I want that the workshop is so good that everyone is happy after the day. Every time is different. Every flower arrangement is different even though we all use same flowers. We are different. After every workshop I think how could I express my way of working better. The real and short version is - intuitive. But you can't teach people by saying "I like it this way. Someone asks "Why?" My answer could be "Well, I feel it and see it." 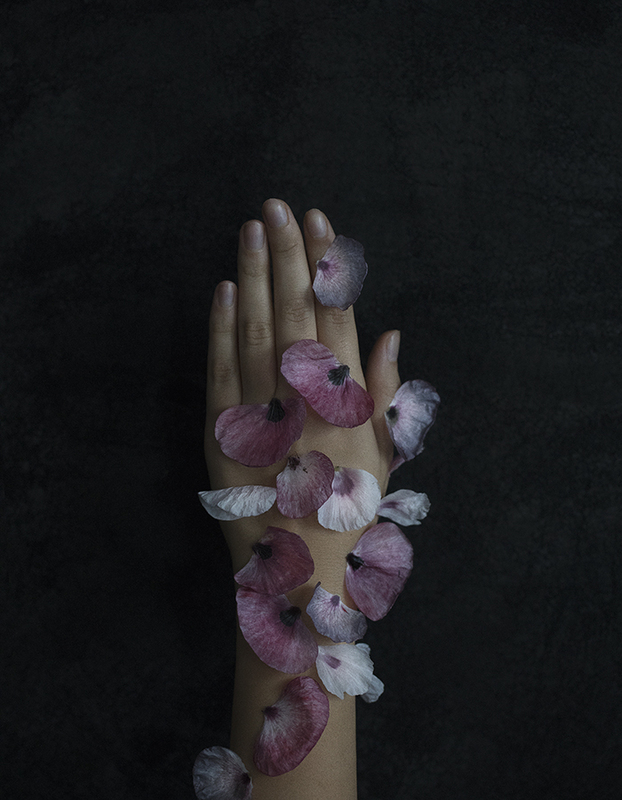 Believe me I've been working hard to find the right words for the creative work with flowers. But it's quite same like in painting. Colors, texture, shapes and composition. First one is always the hardest one or is it? I don't think so. Second one is the hardest one. To continue. When you begin from zero knowledge you are free of every rule. 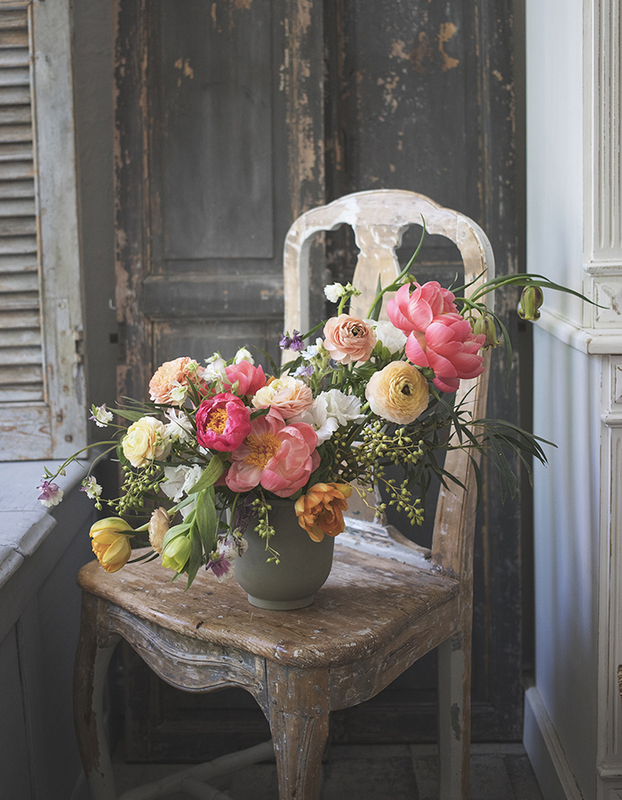 I think the best way to work with flowers is to keep it very relaxed. Never plan too tight what you are going to do because it's all about ingredients and they will direct you for sure. I could say I make big decisions when I choose flowers for the workshop. But when we are talking about flowers you can't promise certain flower with certain color because you might not get it. You always have to have a plan b. Flowers are also quite expensive material to work with. 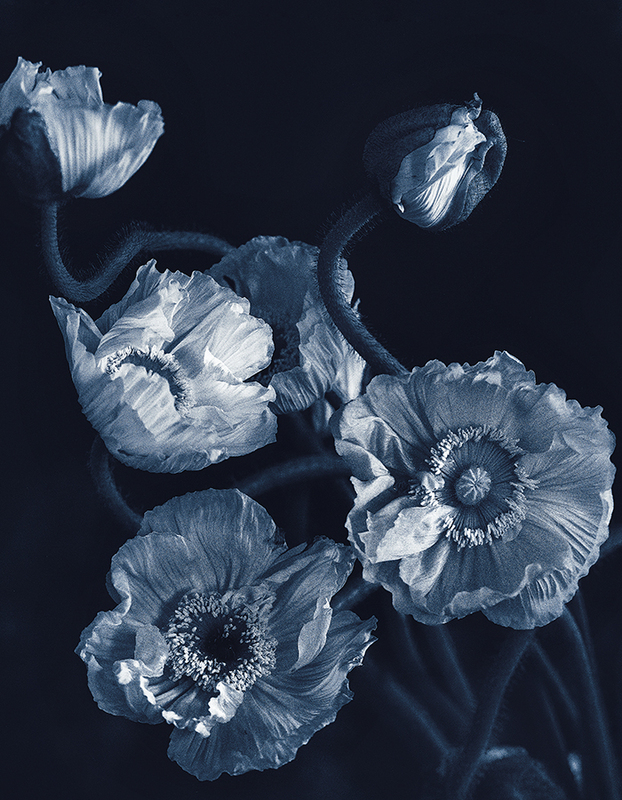 blue flowers - I like, do you? Colors, shapes and textures. I love to combine colors in quite bold way but I know that when I choose colors then I need more time to create the flower arrangement. I love the challenge - how to get all the colors together in harmonious way. And the important thing is time. You need time. You are surrounded by all the beautiful flowers and yes you should have time to enjoy it. It's important to have also a break. A pause. 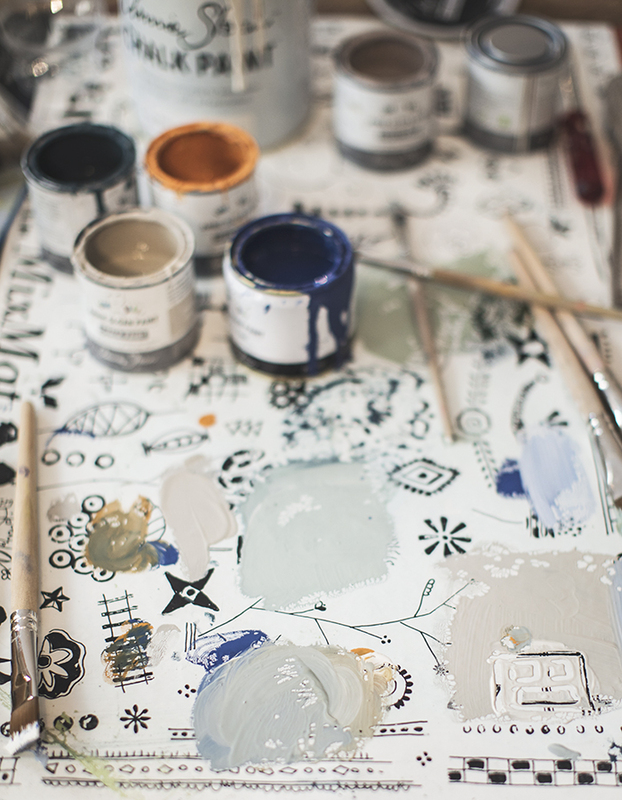 Part of creative work is learning when to take a pause. Take a few steps backwards, do something else. Drink coffee, walk or eat delicious food. That brings me back to our workspace työhuone ovi 10. I have organized workshops there from the Autumn 2016. 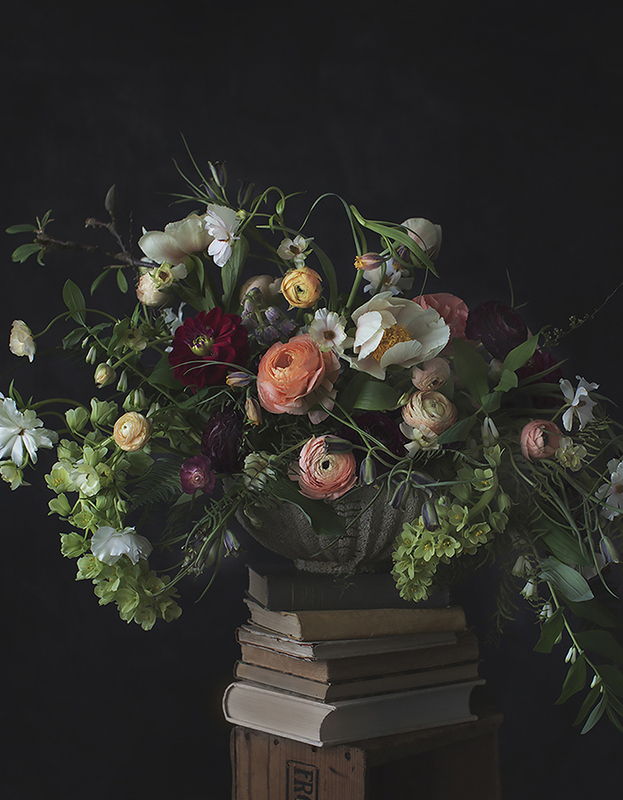 I organized my own flower arrangement and flower photography workshops first time in Mars 2018. 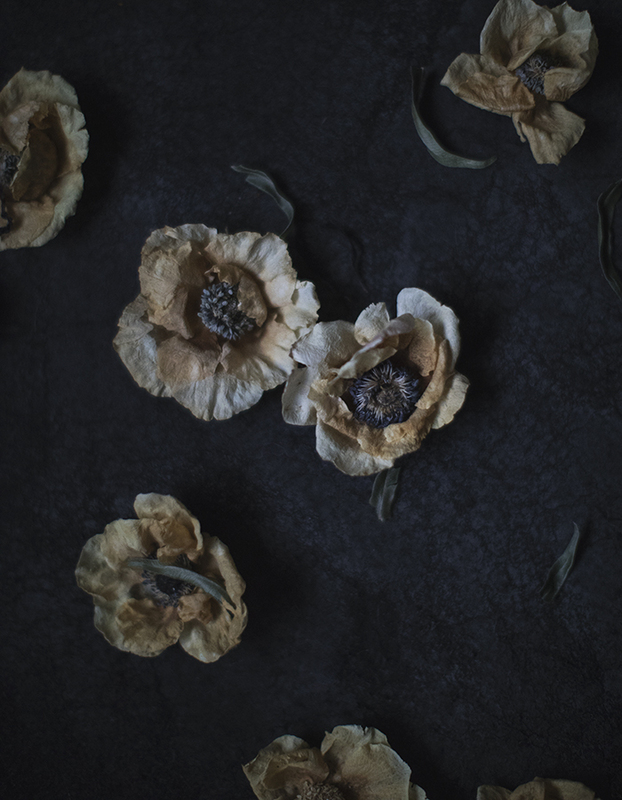 I believe that all we do should make us feel good so in workshops there are beautiful flowers, photography, good food, beautiful natural light and time. 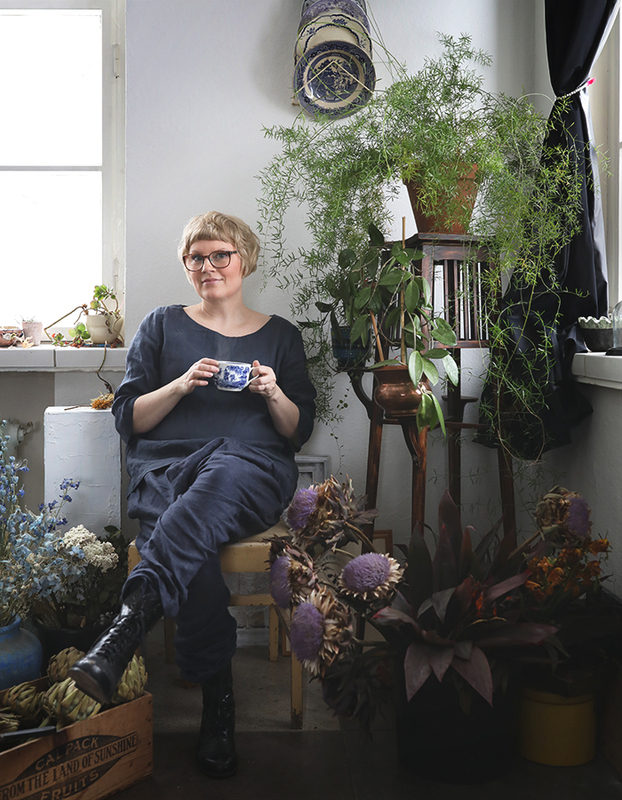 I co-work with my lovely workspace colleague cook, food stylist and cooking book author Meri-Tuuli Väntsi. 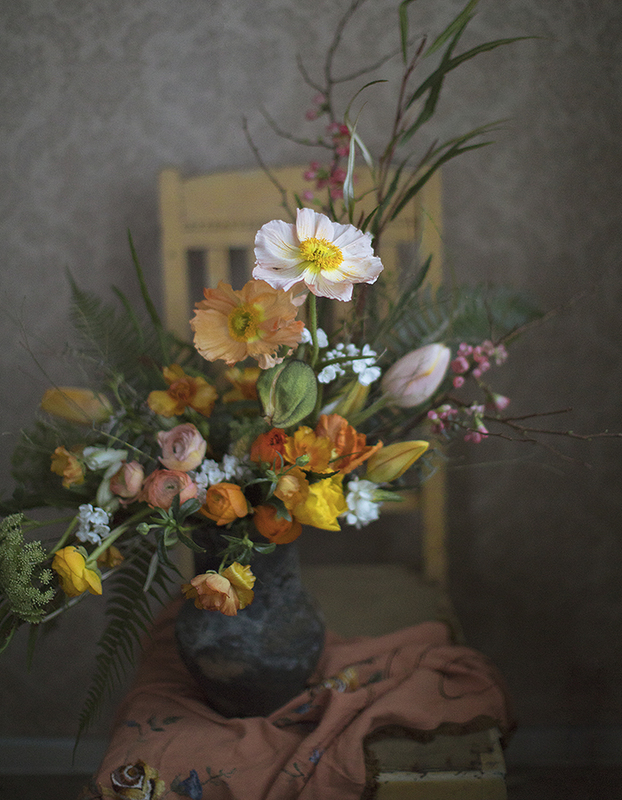 Can you imagine when you have worked almost two hours with your flower arrangement and you might be in a spot where you don't know what to do next? 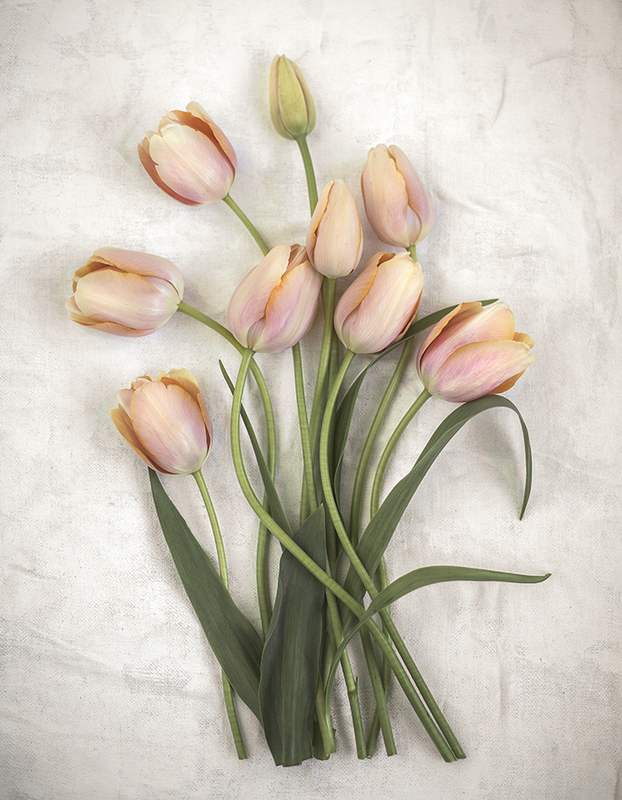 Then is the right time to forget the flowers and take a pause - and eat something! Talk with like-minded people. 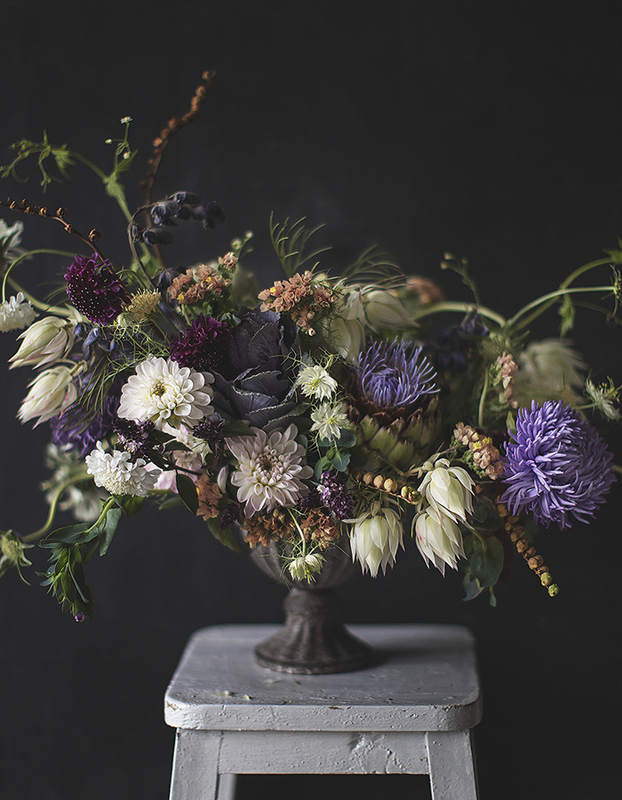 After lunch we continue with flower arrangement and when it's ready we begin to photograph. You photograph your own beautiful flower work with my help. 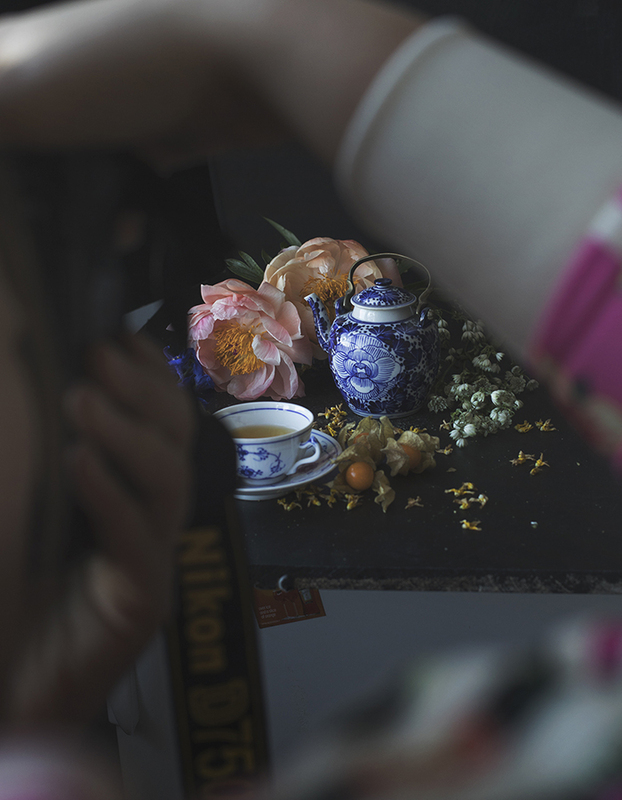 We see the arrangement through the lens and make some adjustments because the world is different through the camera. 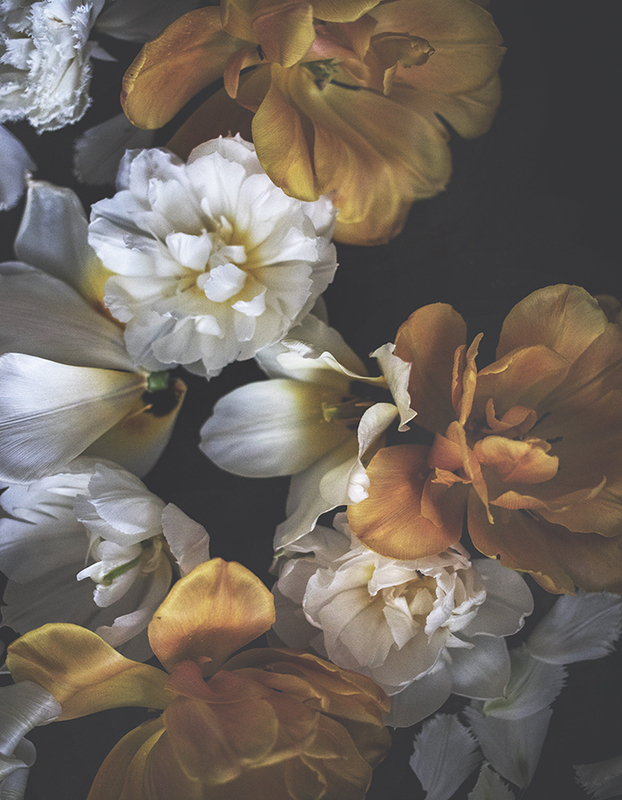 You might need photos for your portfolio or you want to make an art photography print on your wall or maybe you just want to show your friends your floral art. 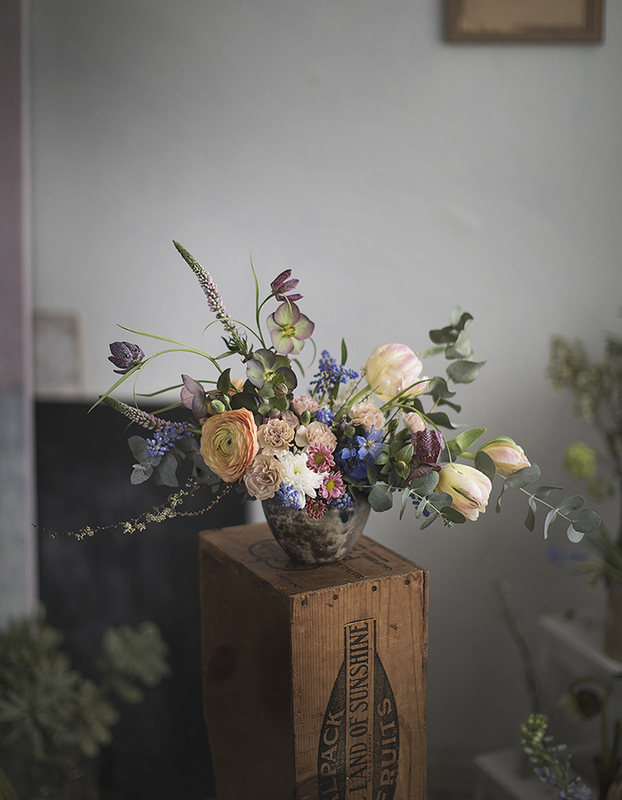 But we also do it because it's good to photograph your arrangement before you leave the workshop because never know what can happen to it. 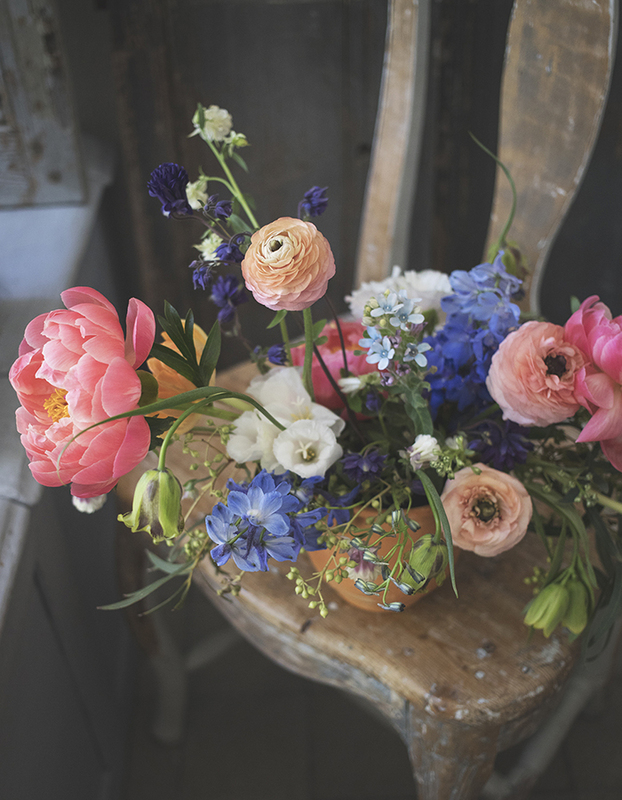 I've been writing about flower arrangement workshops but I also arrange flower photography workshops where we go through very basics of manual exposure. It's worth to learn if you are planning to get better in photography. On that workshop day we don't make a flower arrangement but we photograph flowers with props. You learn bits of composition too. Manual exposure will open you a new view to photography. Finally you get your blur to the right place. All you see here in this picture is done by a photographer. Developing your own skills in different things is always a good thing. I've noticed that painting has helped me to make better photos and it was easier to begin with flowers too - colors, shapes, textures. The most unpleasant feeling comes when you have a doubt that you can't do it. How can you know if you never try? You don't have to be the best - enjoying is enough reason to begin. Many of the students have been so happy and almost surprised about their arrangement or crown. 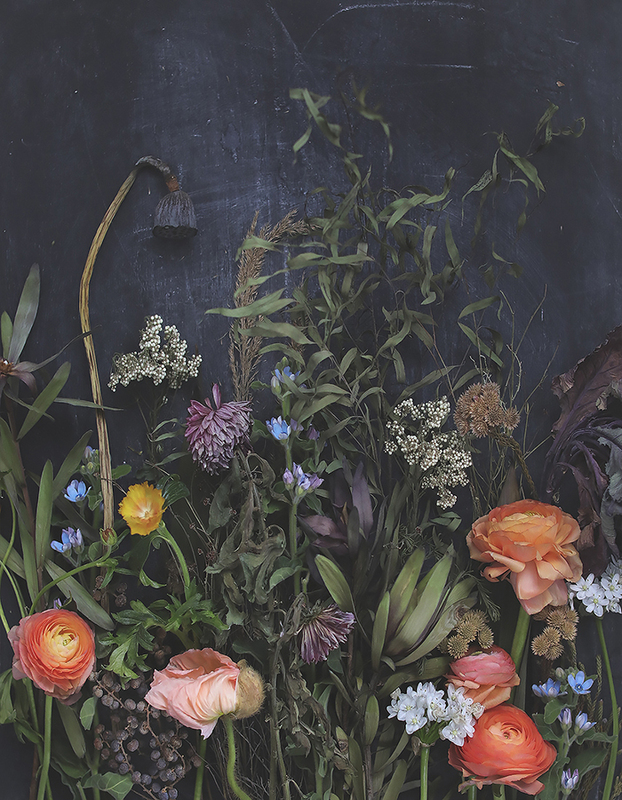 Flowers are wonderful ingredient to make feel good art. If you are still with me you are in the beginning. 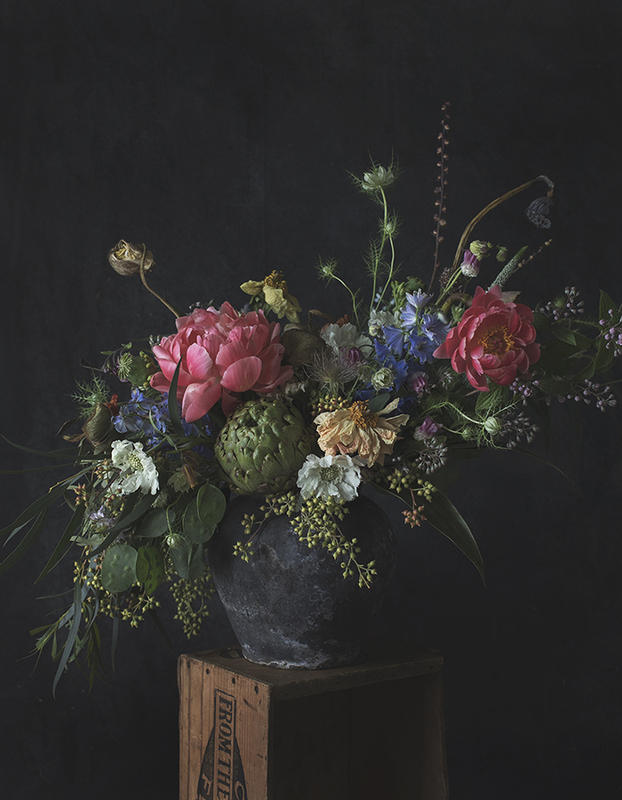 This flower arrangement was made in Asun magazine flower workshop in Habitare 2017. A lot have happened and I don't know what to expect from the next year. I'm a photographer and now also flower artist. Love the combo. 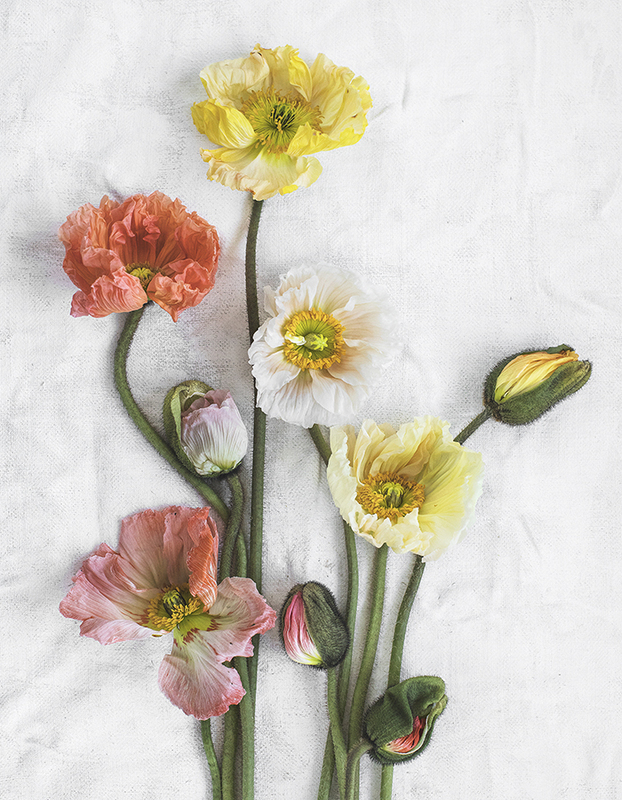 I love photograph food and lifestyle (and flowers of course !) and I love to make flower art. I'm very thankful for all the lovely stories about me in different magazines like in Helsingin Sanomat. They asked me to make this flower arrangement above with basic flowers from the flower shop. Ok, I added few mine special ones but still it's quite basic, haha. Thank you for reading my blog post and I want to wish you a wonderful autumn ! This pic above is from this year's Taiteiden yö in Helsinki. We made flower art together - 30 persons and look how it looks? Not bad? Quite bold and wild I think. That's good, don't you think?